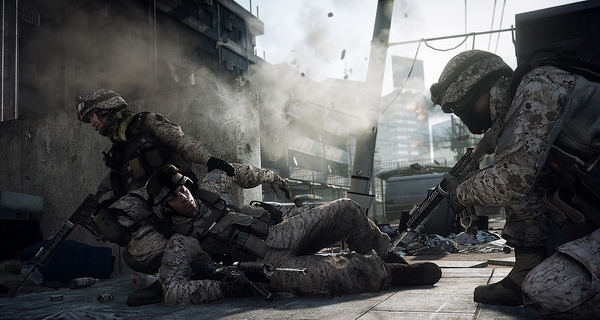 I played the Battlefield 3 beta a lot on the PS3 and I felt it was a mixed bag; you could say I wasn’t that impressed, actually, as evident by my impressions, which you can read here. The game on the PC, however, is a completely different offering. Better offering? Definitely. In fact I’d say that Battlefield 3 on the PC is the closest you’re going to get a glimpse of how the next-gen games would be. Yes, you guessed that right. I’m impressed. So considering I loved the hell out of Battlefield: Bad Company 2, and it is usually considered as a spin-off game, how much of an improvement do we have here in Battlefied 3? A lot, apparently. A lot. The new engine was a masterclass move by EA, as Frostbite 2 demonstrates its superiority on the PC. 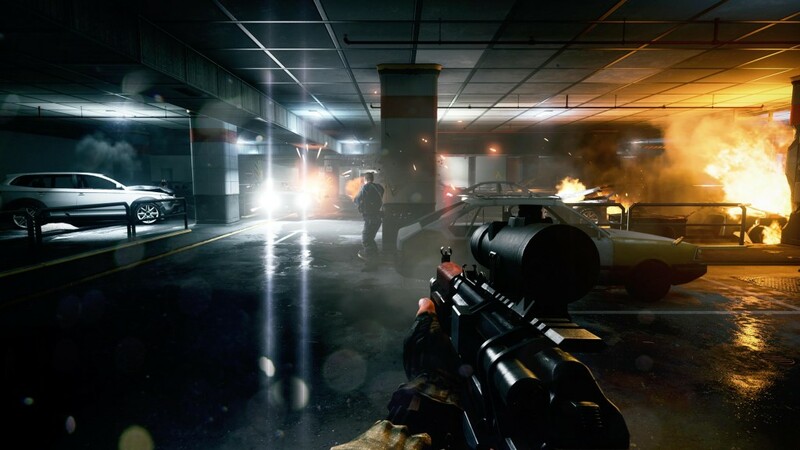 Coming to the campaign mode of Battlefield 3… hey stop that guys! I know multiplayer is the only thing that matters in such games, but the campaign here is a good showcase for the new engine, as it shows a lot of varied environments, beautifully rendered and presented. In other words, your eyeballs will melt looking at the exhilarating graphics on offer. There is a story too! Yes. While it’s clichéd to the extreme as you would expect, it also tells a tale of a soldier that does what he thinks is the best to protect his country. Actually, make that two soldiers. The basic premise is to stop a nuke from detonating in the heart of New York City i.e., Times Square. There are some twists and turns as you would expect, and you get to play as the Russians as well. It’s not a typical Battlefield campaign, mind you. It’s not like you will drive a vehicle aimlessly with your squad in it and crash into buildings and trees and do some pointless objectives. This is more like a Call of Duty campaign. High on set pieces, decent story and extremely fast paced. I’m not accusing DICE, as they did a good job here. I was never fond of the earlier Battlefield campaigns, and this one managed to keep my interest in spite of being a little underwhelming at the start. There are some nice touches here with flashbacks and third person narration. The campaign took me close to 7 hours on the normal difficulty to finish, which is what you would expect normally. I mentioned earlier about how good the visuals are, but the game demonstrates that DICE is clearly in a different league right now. Sort of like a first party studio with unlimited funding, almost. The lighting and crispy textures on the PC makes it a sight to behold. The weapons are nicely detailed and stay true to their real life counterparts. I had one issue with the campaign, which is, linearity. Why am I being subjected to 5 second timer if I go slightly off path? This is Battlefield damnit. I do not appreciate handholding to such an extent. I know this is intentional, as the engine is capable of much more as the maps in the multiplayer are quite gigantic and filled to brim with details. But a less linear campaign would have been good. All in all, the campaign is good provided you don’t expect an Oscar worthy story, or some tactical gameplay. The mutliplayer component is the meat of the game. It is what defines Battlefield, and I’m happy to say that DICE has delivered big time here. Big time. This is multiplayer gameplay at its finest. Squad based tactical gameplay that rewards you when you accomplish objectives? Oh how I missed you, Battlefield. The beta was clearly an older build as the retail game is much more polished and has less bugs. 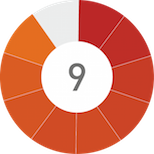 There are nine maps in the game; all gigantic and with an identity of its own. You would never feel like you are playing in the same locations or get bored because the gameplay is so dynamic with such maps. When I was providing support in a Helicopter with a chaingun, mowing down enemies from far above, it gave me a wicked sort of pleasure as if I’m really fighting a war. The amazing sound design goes a long way in immersing you in the game. From the squad chatter to the environmental sound effects to the spectacular weapon sounds; DICE has truly taken it to another level. 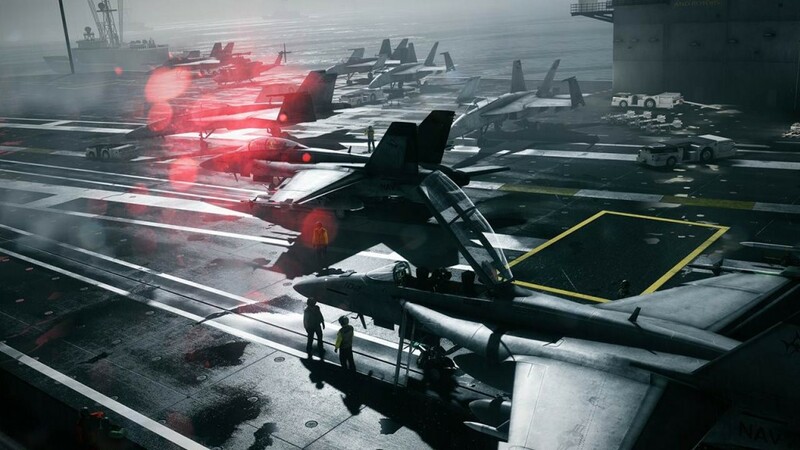 There are a lot of vehicles at your disposal, especially in the larger map and yes, flying a plane takes skill and you can crash just like you did in Battlefield 2, but when you do master it, the experience is amazing. The modes from Battlefield: Bad Company 2 are back. You have Rush, Conquest and other variations of that along with 64 player servers on the PC. EA has an unique Battlelog system for the PC version, where you can sign into Origin and then when you launch the game, a new browser opens which shows you in-depth options for the game. You can do everything via the browser; talk to your friends or join a game together. There are a lot of maps as I mentioned along with filters which will take you into just the game you want. The netcode is fantastic, as I have not encountered any lag yet. When you shoot an enemy, he dies and that’s how it supposed to be. So far there are a lot of full servers on the PC version, and it takes you to a game pretty fast. There are a lot of classes and each kit takes you a while to fully upgrade. The solider and weapon customization is fantastic, which shows how much work DICE has put into this game. From Assault rifles to SMGs and unique abilities like med box or vehicle repair; everything encourages teamwork. The map designs are fantastic but sometimes if you aren’t in a squad be prepared to cover a lot of distance on foot. The game is clearly made with longevity in mind as there are an immense amount of unlocks and variety here. As long as the player count doesn’t dwindle, which it probably won’t, anyone with a copy of Battlefield 3 can rest assured that they can find a packed server even after one year. 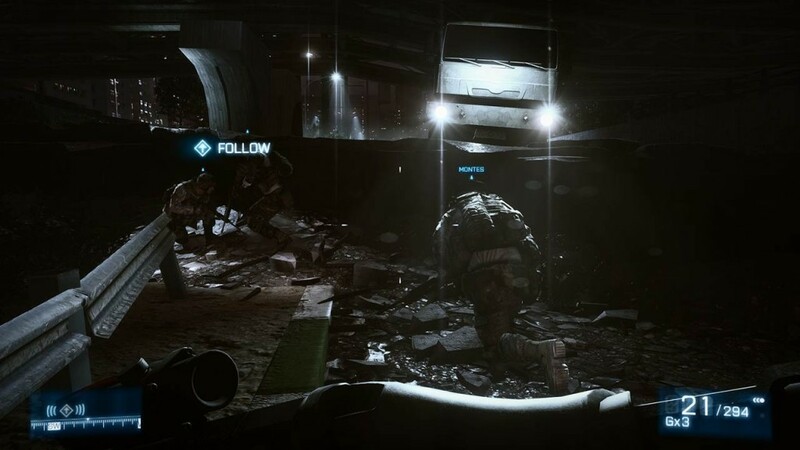 The fanbase is good; people know what to do and when playing with friends, Battlefield 3 will provide you a complete tactical gaming experience online. This is one of the best multiplayer games to have come out this gen, and DICE should be proud of that. If you are a fan of Battlefield 2 or even Bad Company 1-2, you should know that this is the best Battlefield game yet. Gorgeous graphics. Fantastic sound design. Amazing map design. Detailed weapons and vehicles. Solid netcode. Lots of replay value. Multiplayer. Battlelog. Average campaign. Short. Excessive reliance on Battlelog. This is one of the best multiplayer games to have come out this gen, and DICE should be proud of that. If you are a fan of Battlefield 2 or even Bad Company 1-2, you should know that this is the best Battlefield game yet.